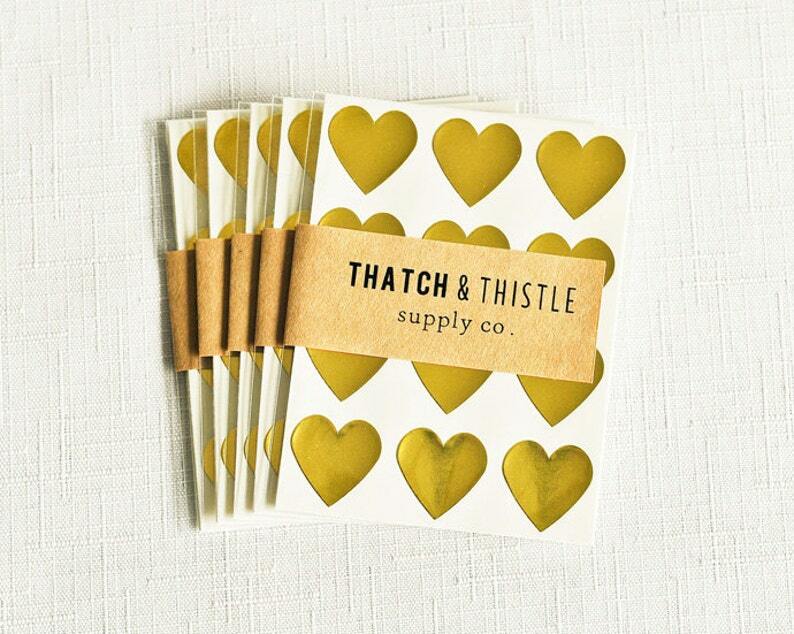 This listing is for a set of 48 lovely mini heart stickers in metallic gold. Stickers are perfect for sealing envelopes, invitations, cards, crafting, parties, weddings, showers, gift wrapping, scrapbooking and embellishing your packaging! These stickers measure 3/4" inch and come packaged in a clear resealable envelope. Lovely stickers that arrived very quickly! All were exactly as described!